O’FALLON, Mo. 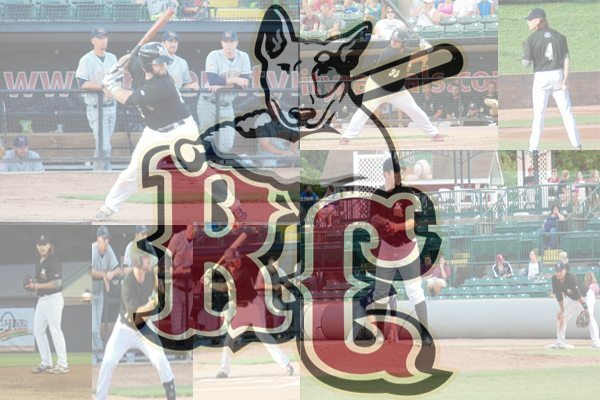 — The River City Rascals (20-19) could not claw all the way back from a five-run deficit deficit and fell 9-8 to the Joliet Slammers (24-17) on Wednesday night. The Slammers pushed six runs across in the fifth inning to take a 9-4 lead. A three-run home-run drew the home team to within two, and the Rascals got the game-tying in scoring position with no outs in their final at bat, but, ultimately, fell a run short. Six Rascals had multi-hit games, as they racked up 14 hits on the day. The only two extra-base hits were a pair of home runs. Alexi Colon hit his sixth as a Rascal after signing just 14 days ago. Jason Merjano’s second home run of the season was a three-run shot that came in the sixth inning and gave River City hope of a comeback. Kyle Gaedele went 2-for-4 at the plate, scored two runs and stole his team-high 14th base. Gaedele is still yet to be caught stealing. The River City bullpen held the Slammers scoreless after their six-run outburst. In his Rascals debut, Shane Street pitched around two singles to hand it back over to Merjano to go deep and cut into the Slammers’ lead. Will Scheirholz and Michael Gunn combined to complete the seventh inning. Austin Warner, also making his Rascals debut, started the inning and promptly gave up a single and a walk and failed to get an out before being pulled. Schierholz got the first out on a sacrifice bunt, intentionally walked the next batter, and struck out Phillip Bates, the nine-hitter, with the bases loaded. Gunn came in for the favorable lefty-lefty matchup and got leadoff hitter Charlie White to bounce out to the first baseman. Nick Kennedy and Jared Wilson pitched largely uneventful eighth and ninth innings, giving it to the Rascals offense with a chance to tie down only two runs in the bottom of the ninth. Leadoff hitter Alexi Colon got things started on the right foot with a walk. A single by Mike Jurgella and an error by the Slammers third baseman put runners on second and third with no outs. The Rascals’ team leader in batting average, Josh Ludy, grounded out back to the pitcher for out number one. Willi Martin cut the lead to one with a groundout to the shortstop, but Jurgella was forced to hold leaving the tying run at second with two outs. Brent Choban then struck out Robby Enslen to end the game and get his five-out save. This game was not lost in the ninth though. It was lost in the fifth. The Slammers scored six runs off six hits including three home runs. Things did not get off to a great start as Bates homered to lead off the inning. Starter Francis Ramirez was pulled after the next two batters singled and doubled. Lucas Laster did not fare much better in relief. He got the first batter to ground out to first for the second out of the inning but walked the next one setting the stage for Marc Flores. Flores, despite the lefty-lefty matchup, blasted a three-run home run — the highlight of his 4-for-5, 5-RBI day. A single from Joe Staley was a brief reprieve before Jake Gronsky became the third Slammer to homer in the inning. The bleeding was finally stopped when Laster struck out Melvin Rodriguez. Ramirez finished his second start as a Rascals with a final line of 4.1 innings, 5 earned runs, 8 hits, and two walks and strikeouts. Laster, who has since been added to the suspended list, finished with 0.2 innings, 4 runs, 3 hits, and a walk and a strikeout. Follow @TimJKaiser on twitter for all your Rascals news throughout the summer. Piscotty’s double leads Cardinals to win!